As a mom, I don’t always care about the newest gadget… but I absolutely care about the effect that it is having on my son. Find a Free To Do List App As mom’s we always have billions of things running through our head. Manoush recommends dumping our to do list from our brain into a app… so it’s not just bouncing around in our head. Choose Video Games That Are Educational Manoush recommended Hopscotch which is a simple game that teaches kids coding. Sure, it would be great if your kids never played video games, but if they do… make them educational! 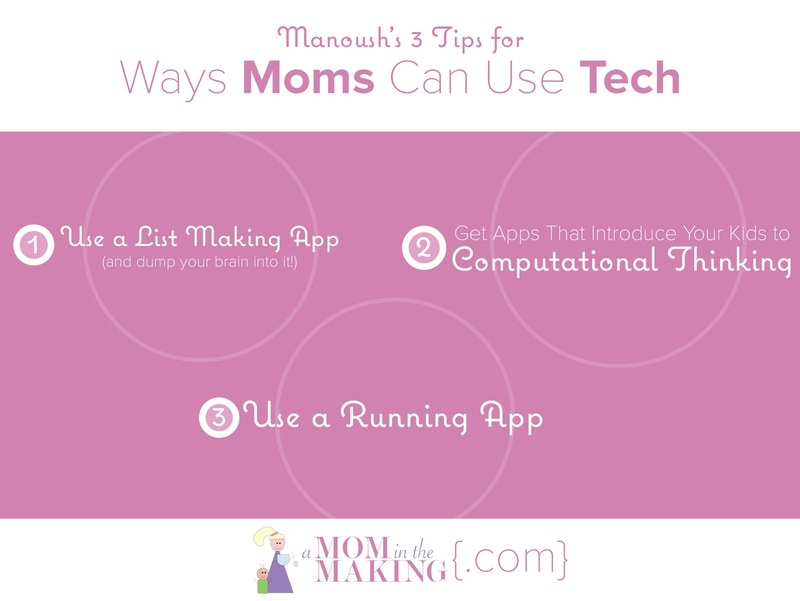 Make sure you head back on Monday when Manoush will be sharing What Moms Need to Know about Tech in our latest podcast episode. You check out Manoush on her personal site too. What ways do you use tech?